The 2017 City of Mississauga digital mapping data contains very detailed topographic and planning information clipped to the City of Mississauga municipal boundary. 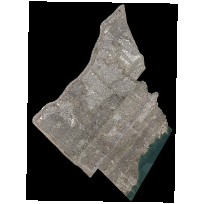 This data set contains the 15 cm resolution jp2 version for City of Mississauga. The original format of the raster image are .ecw as provided by City of Mississauga. The data loaded come from the Q3 shipment from the City of Mississauga Transportation and Works Department.